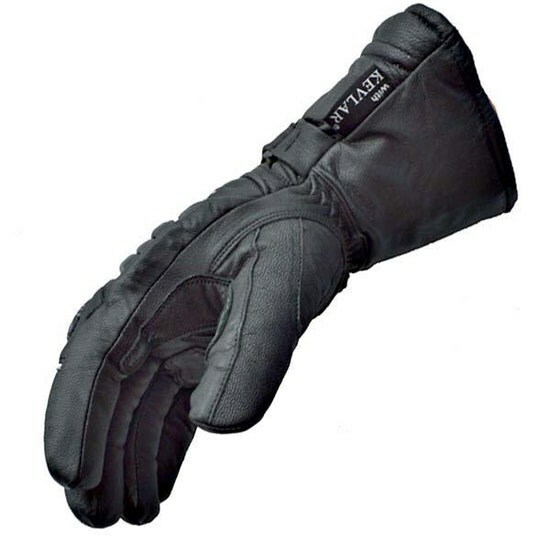 Sliders Cold Pro Gloves are a fantastic value for a fully featured winter glove. 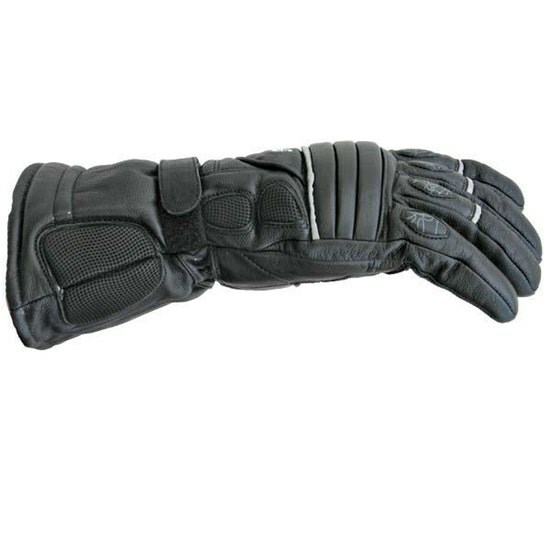 The Cold Pro Motorcycle gloves are constructed with a combination of textile, cowhide, and goatskin suede, with genuine aramid reinforcement in the palm. 3M Thinsulate is used to keep your hands warm, and a Hipora waterproof liner keeps you dry. The Sliders Cold Pro Waterproof Gloves also feature a molded knuckle protector, with smaller knuckle guards on the fingers as well. For nighttime visibility, Sliders has incorporated a large reflective panel into the back of the gloves. 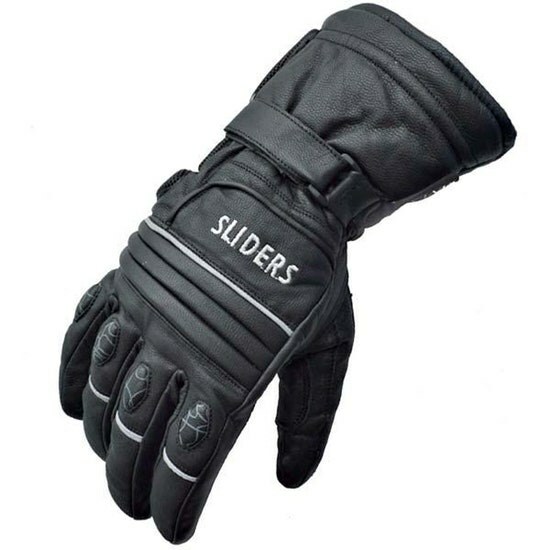 If you are in need of some great cold and wet weather gloves that won't break the bank, the Sliders Cold Pro Armored gloves are a great option! 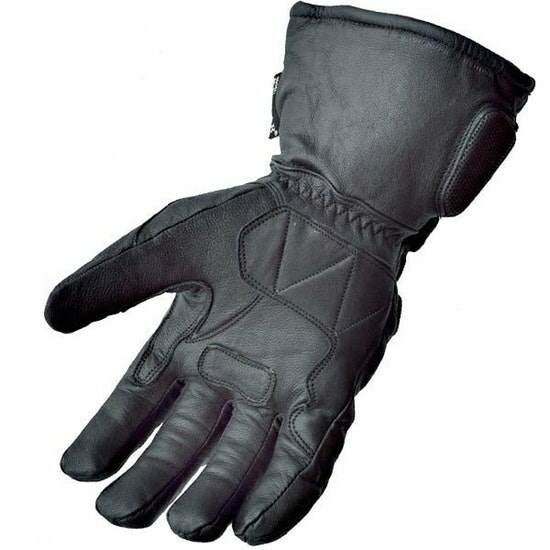 Sizing Note: Sliders Cold Pro Motorcycle Gloves are just slightly on the snug side, with slightly shorter fingers than some other gloves. Plus the fingers and glove are lined with a thinsulate and a waterproof/breathable membrane. As a result the fingers can be tighter than non-insulated gloves. So if you are either in between sizes, have extra long fingers, or just want a roomier glove, please order up one size. You can click on the sizing tab for more sizing info and instructions for how to measure your hand.